On 15th September 2018, volunteers worldwide came together to rid our planet of trash – by cleaning up litter and mismanaged waste from beaches, rivers, forests, and streets. World Cleanup Day activities also took place all across Bali on the same day. This was an important first step for the people of Bali to strengthen their commitment and be accountable for the cleanliness of the island. 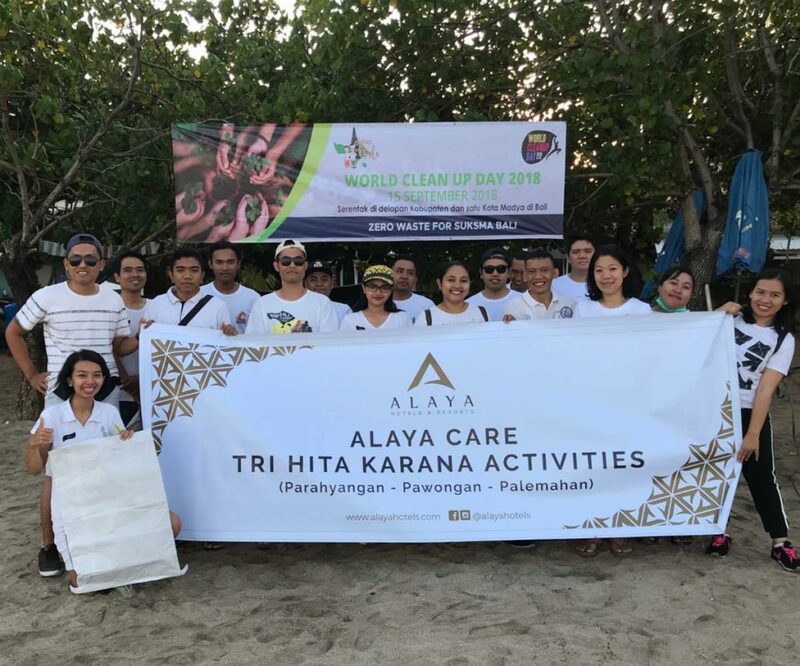 Alaya Hotels & Resorts lent its full support to the World Cleanup Day program. While the brand is all about creating opportunities for intimate cultural interactions and exposing guests to the natural beauty of each destination, it is also committed to being a responsible host and treading lightly on the environment. Cleanup activities on the day involved all senior management and staff members from Alaya Resort Ubud and Alaya Dedaun Kuta. The Ubud team focused their efforts on removing rubbish from the banks of a nearby river and network of irrigation canals that feed local rice fields. Meanwhile, the Kuta team joined forces with other hotels in the area and participated in an early morning cleanup of Bali’s iconic Kuta Beach. They managed to fill many bags with various items including discarded bottles, drinking straws, broken sandals and other bits of debris. Long before this cleanup, Alaya Hotels & Resorts has always taken steps to engage the community in long-term environmental initiatives. Even though garbage is an inevitable part of tourism, its existence needs to be managed wisely. Every effort must be taken to ensure that all waste generated from visitors and local people alike does not cause damage or negatively impact Bali’s reputation as a popular holiday destination. This also means that the island’s current landfill system needs to be urgently evaluated to prevent garbage from re-entering rivers and the surrounding ocean. Alaya Hotels & Resorts respect for the environment is firmly entrenched in the brand’s vision that conservation, community and commerce can and should be integrated. Alaya’s “green” efforts extend beyond the operational aspects of each resort to create a positive impact on the community – economically, socially and culturally. This includes maintaining a productive rice field adjacent to Alaya Resort Ubud as well as having a “living kitchen” onsite to grow fresh ingredients. Alaya is also on a mission to ditch single use plastics. General Manager of Alaya Hotels & Resorts, Mrs. Dewi Mas, CHA, CHT, is driving the entire team to try and cut down on environmentally damaging resources such single-use plastics. 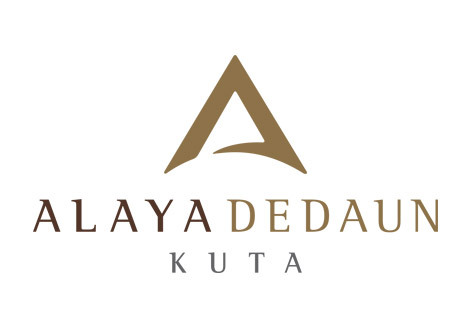 Both properties under the Alaya banner have pledged to eliminate single-use plastics from all hotels by 2018 – and to serve as a leader in the hospitality industry for a plastic-free moment-turned-movement. This sustainability event was an opportunity to express gratitude for all of the blessings bestowed by God Almighty. It also reinforced the resort’s commitment to Tri Hita Karana, a Balinese Hindu lifestyle philosophy that is all about maintaining a harmonious balance between mankind (Pawongan), the environment (Palemahan) and God Almighty (Parahyangan).